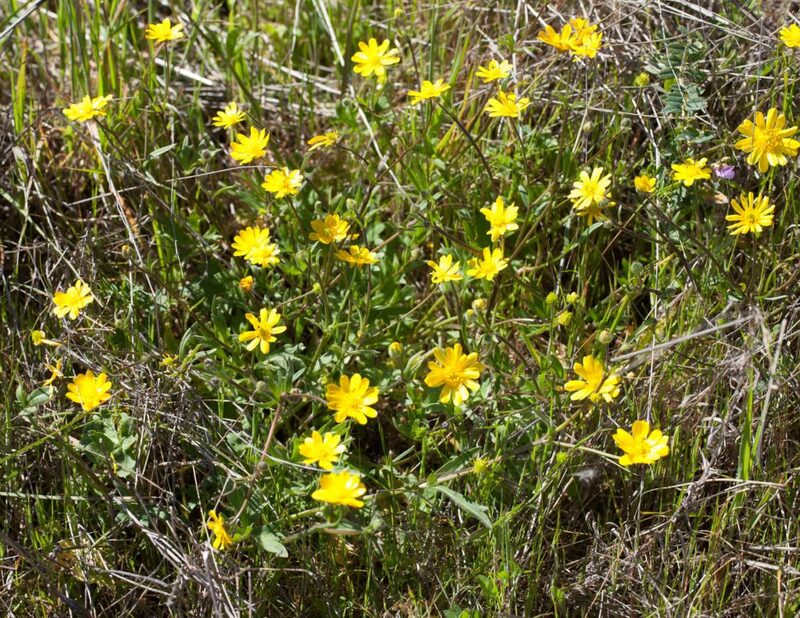 A common plant, sometimes found in profusion. 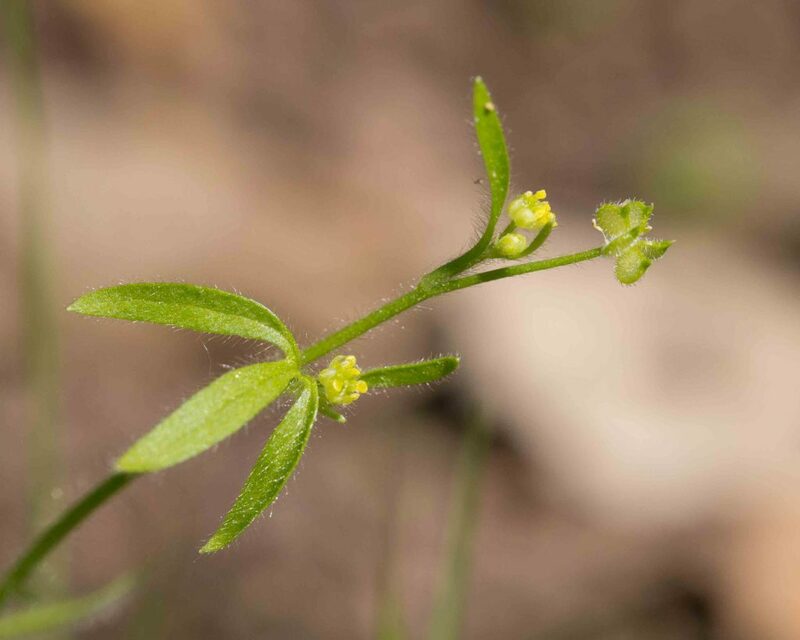 The stem is erect to decumbent, glabrous or spreading-hairy. 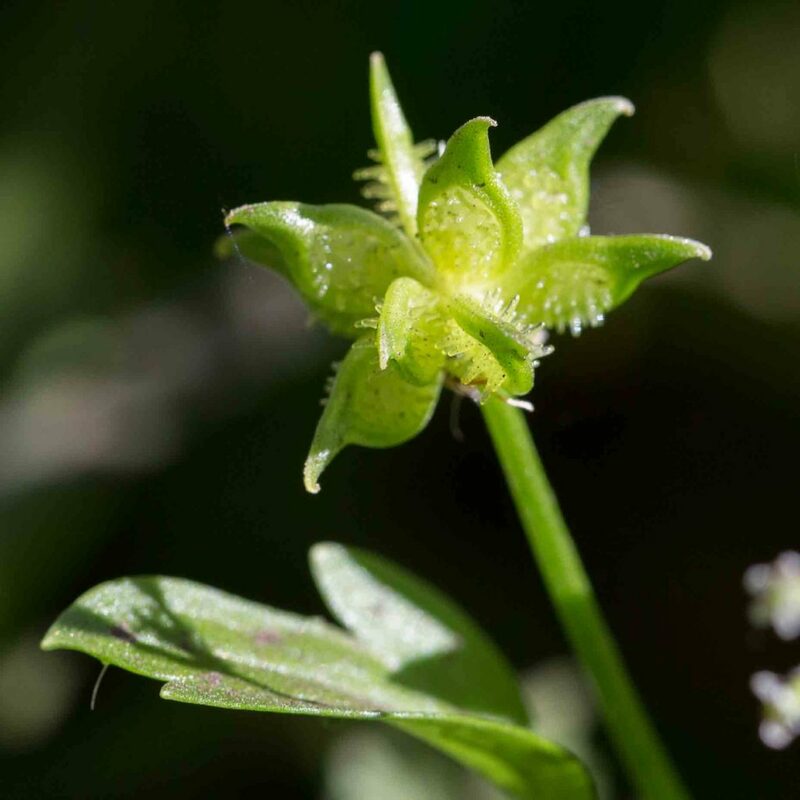 There are 5 sepals and generally 9–17 slender, shiny petals. 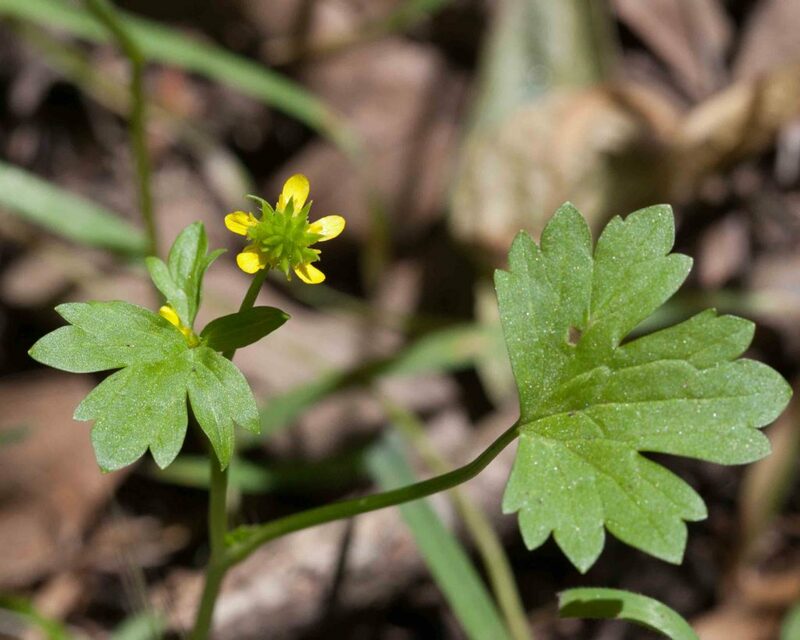 Leaves are variable, generally 3-lobed or ternate with lobes deeply dissected or compound. 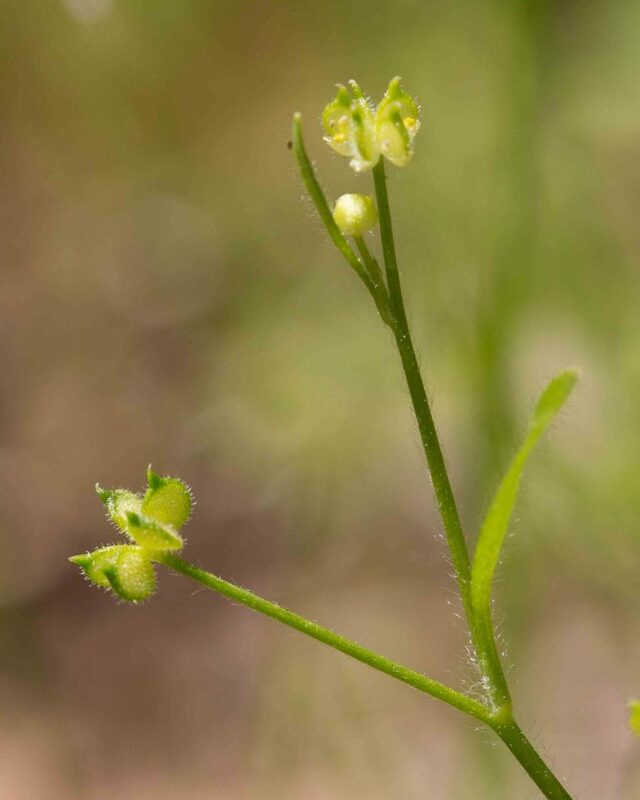 Fruits are disk-like with smooth faces and small, curved, lanceolate beaks. 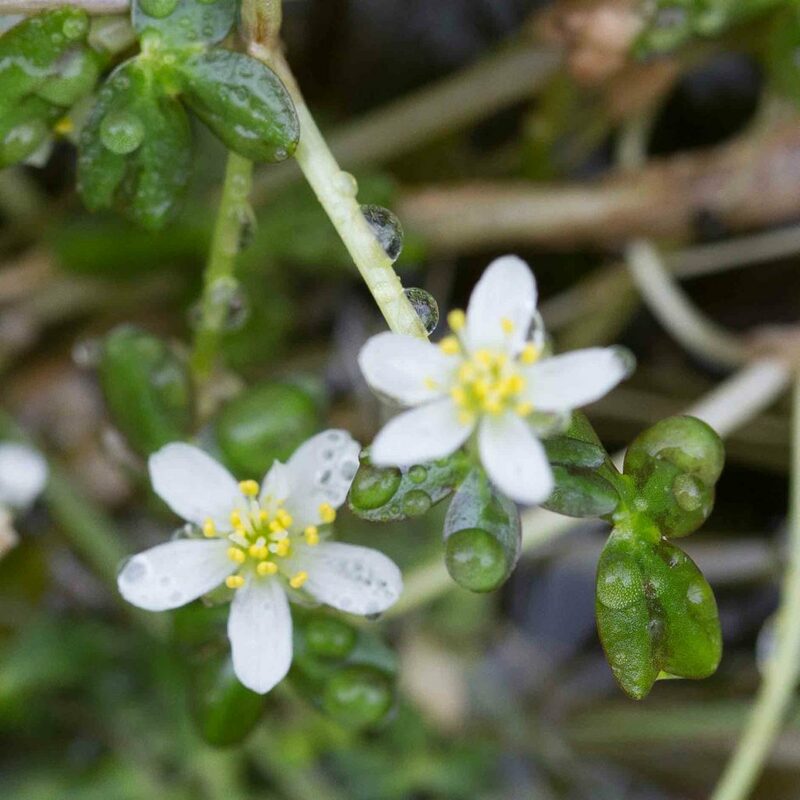 A small, inconspicuous plant, difficult to spot until one has learnt how to recognize it. 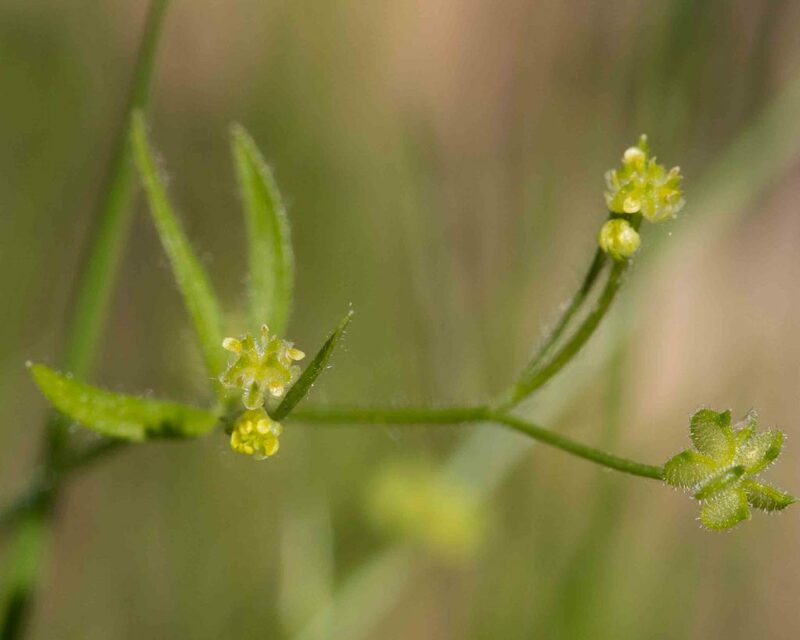 The flowers are tiny, yellowish with 3–5 petals, barely visible among the more prominent (but still tiny) 3 mm-wide disk-like fruits, papillate on their face and with a hooked beak. 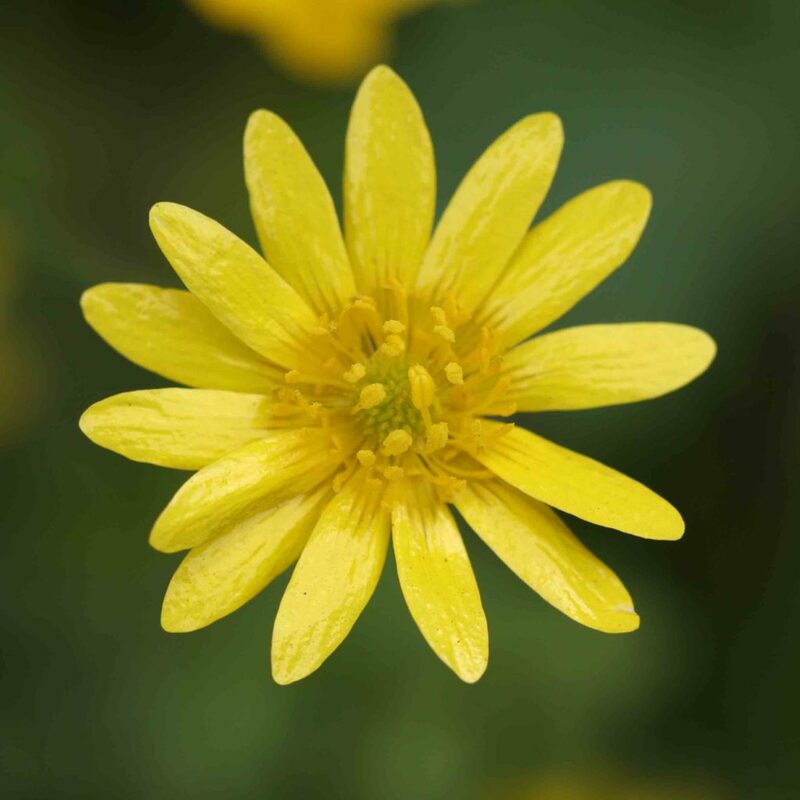 Basal leaves are in 3s, each leaflet itself being lobed. 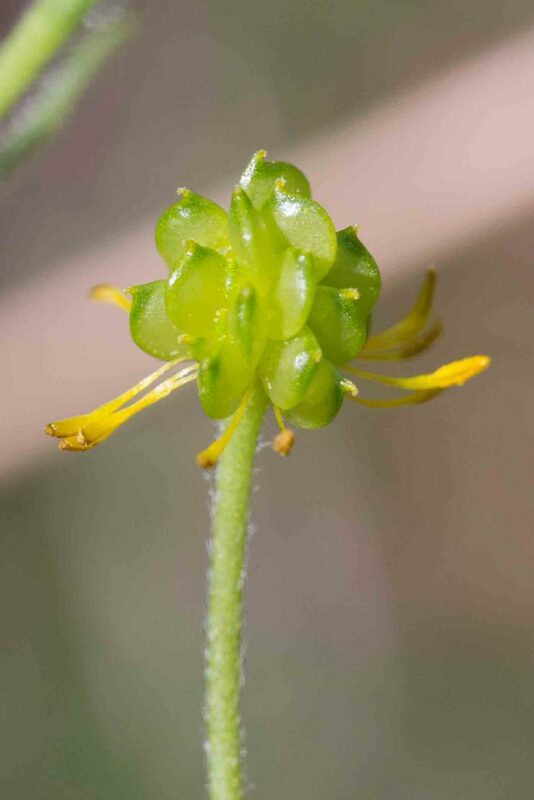 The cauline leaves are entire and slender. 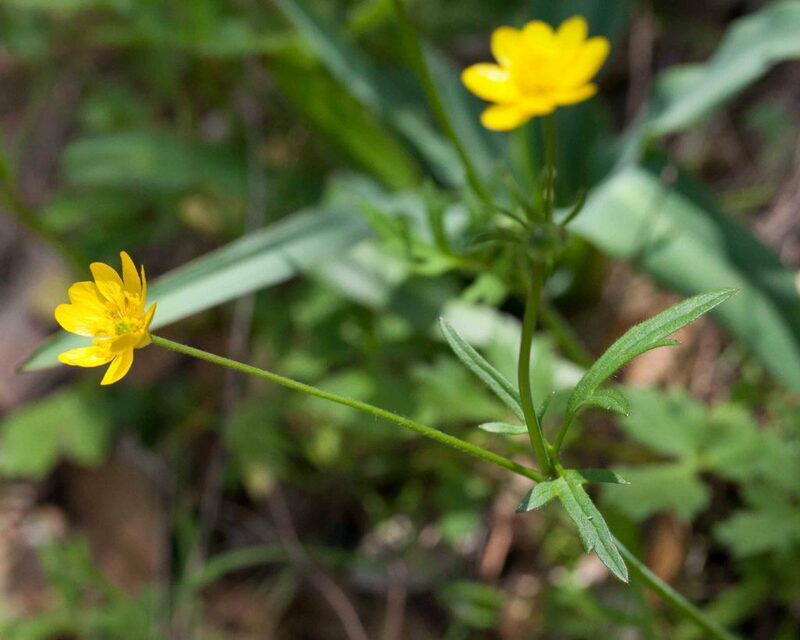 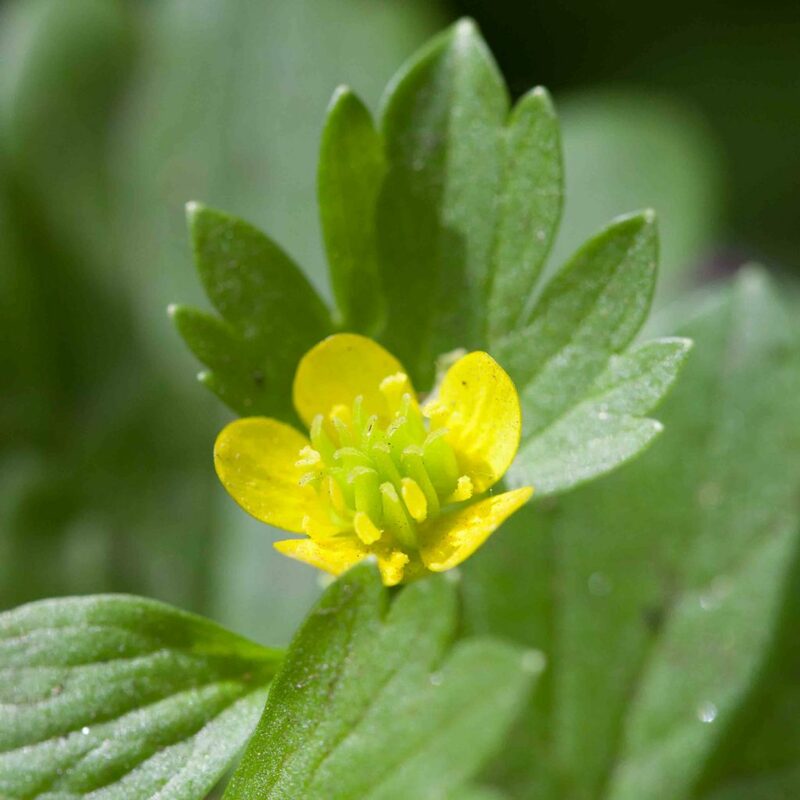 Relatively uncommon, this is easily distinguished from Common Buttercup (Ranunculus californicus) by having 5 clearly separated petals and often rounded, deeply-lobed yellowish-green leaves. 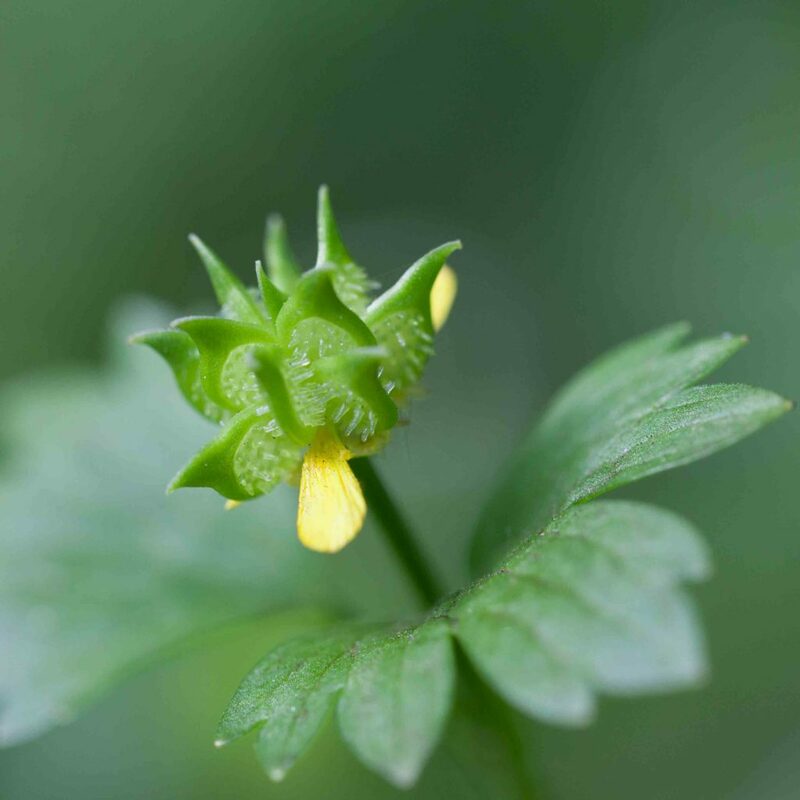 Fruits are disk like with a long curved beak and small spines on each face which give the plant its common name. 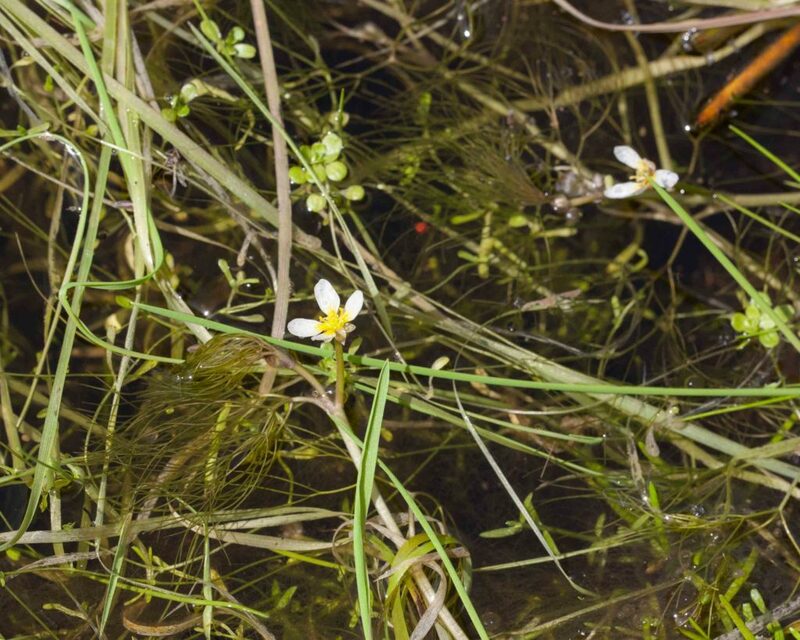 This aquatic plant has small 5-petaled white flowers. 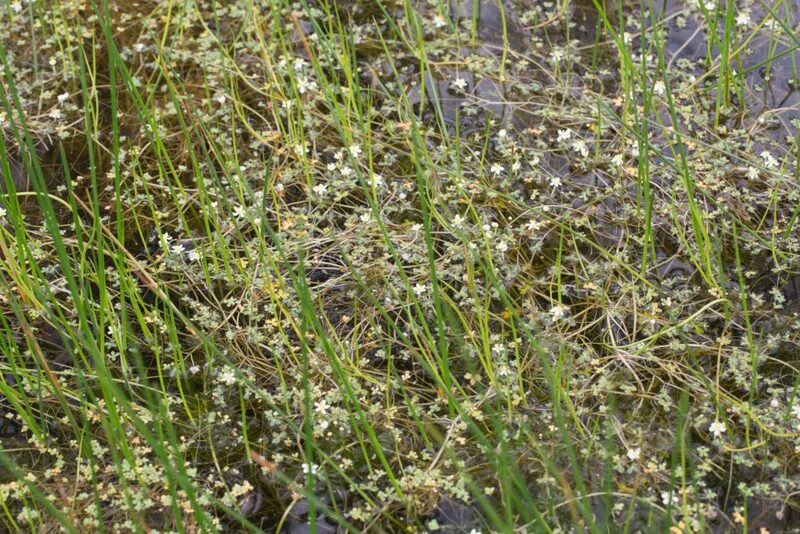 It has floating and submersed leaves, both 3–6-dissected into threadlike segments. 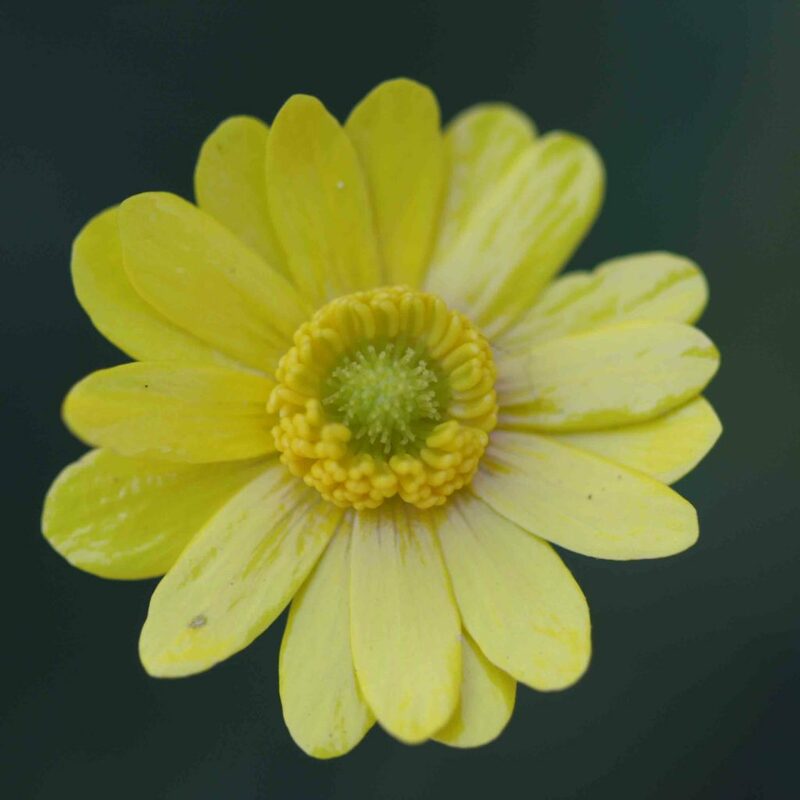 Unlike subsp. 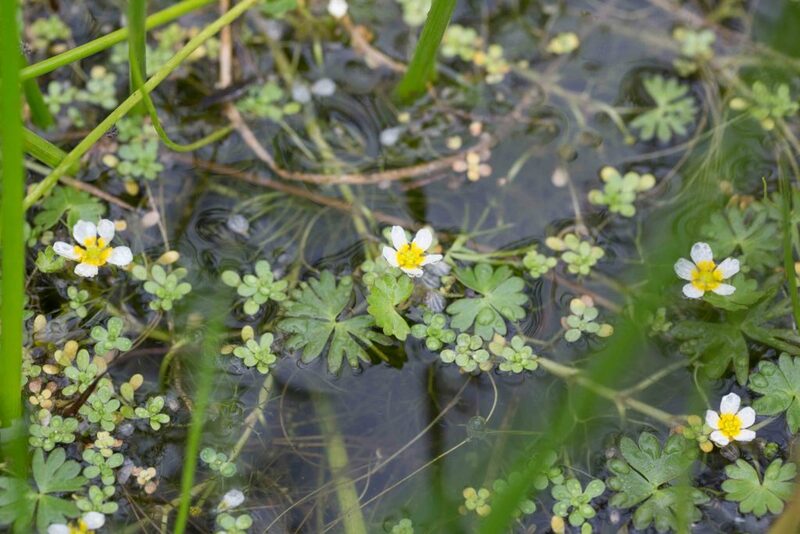 aquatilis and Lobb’s Aquatic Buttercup (Ranunculus lobbii), it never has floating leaves that are not finely dissected and thread-like. 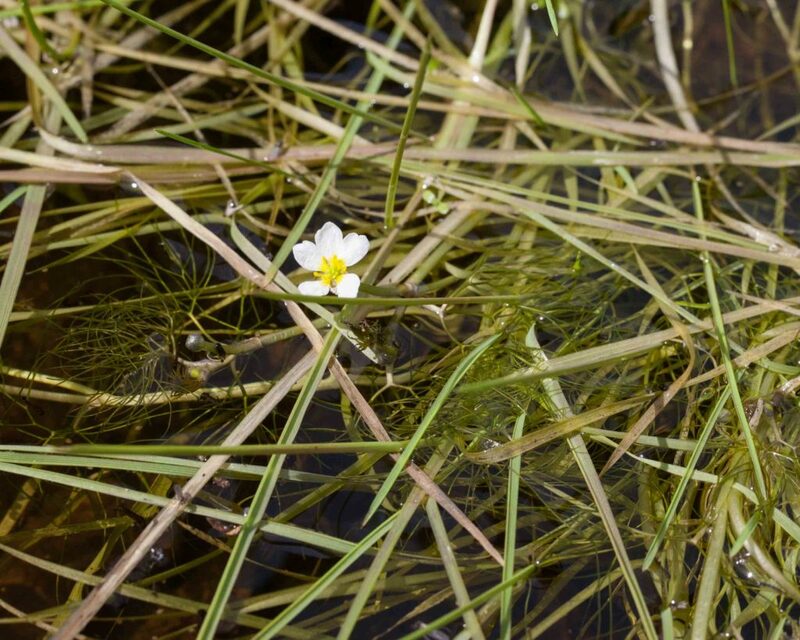 Rare, this aquatic plant has small 5-petaled white flowers and both floating and submersed leaves. 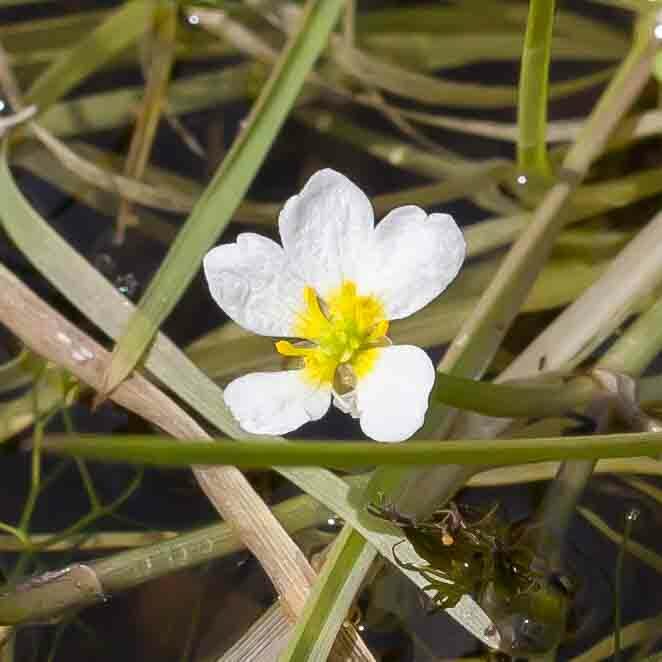 The floating leaves are deeply 3-parted and occasionally notched. 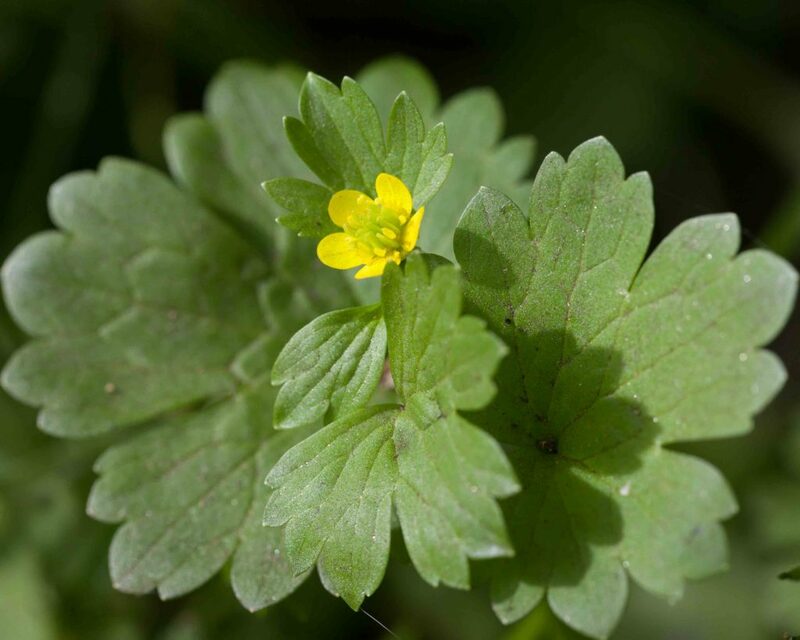 The submersed leaves are generally 2–3-dissected into threadlike segments. 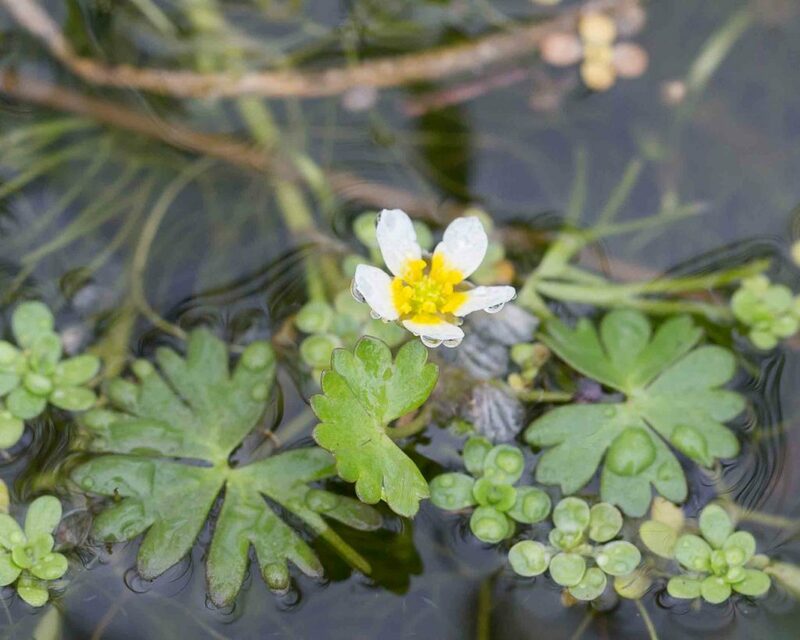 Distinguished from the more common Whitewater Crowfoot (Ranunculus aquatilis – not pictured) by having a glabrous rather than bristly receptacle.